Inspired by the March 2011 air-assault "Operation Bull Whip," conducted in Eastern Afghanistan by the Iowa National Guard's 2nd Brigade Combat Team (B.C.T. ), 34th Infantry "Red Bull" Division (2-34th BCT), the poem "Night Vision" first appeared in Waterwood Press' 2015 war-themed anthology "No, Achilles." 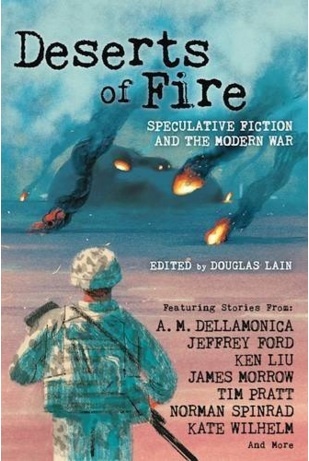 The editors even offered a brief analysis of the work in that book's introduction. I know of no other poem from the war in Afghanistan as likely to be canonized in future high school curricula: the poem is accessible, apolitical, spoken from the point of view of an American soldier—and it illuminates what might be the central fact of the long American military operation in Afghanistan. This poem quietly shows the unreconcilable clash of cultures, languages, and levels of technology that have frustrated American military efforts in Afghanistan for 15 years. In a recent artistic exercise, I combined an audio narration of "Night Vision" with U.S. Army-released photographs of Operation Bull Whip. I hope the resulting 75-second video will provide another way for others to discover and access the work. I've been further experimenting with how the video translates to various social media and on-line channels (such as this blog). Perhaps I could also challenge other war-poetry practitioners to attempt multi-media projects this summer? In the meantime, check "Night Vision" out, embedded above in this blog post! See what you think! 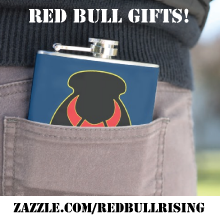 And, like the Red Bull says, "Attack! Attack! Attack!" A common criticism of contemporary war literature—at least the stuff that gets mass-market, big media attention—is that so much of it seems to focus on kinetic "kill" narratives, such as those of snipers and SEAL teams. Beyond communicating the tactics, heroics, and sacrifices of a few individuals on the battlefield, some would argue, stories such as "American Sniper" and "Lone Survivor" do little to expand our understanding of the wars we have sent our soldiers to wage on our behalf. War is bigger, of course, than body counts and battlefield actions. For the past 15 years, in Iraq and Afghanistan, armed forces have been engaged in various attempts to stabilize and legitimize whole countries. Our national narratives have been targeted toward nation-building, not just killing bad guys. To tell such a complicated collective story, we need diversity in form: memoirs and movies, poems and plays, operas and dance. We need diversity in perspective: not just stories of generals and grunts, but of medics and military police, of aviators and truck drivers. Finally, we need diversity in voice: the notes of allies, civilians, and even our enemies should be added to our wartime chorus. Memoirs such as Barry Alexander's "On Afghanistan's Plains" and movies such as the Danish-language "Krigen" ("A War"), deliver on all three counts. They expand our potential understanding of our own wars, beyond the expected kill-kill-bang-bang, beyond our soldierly stereotypes, beyond our U.S.-centric tunnel-vision. In a 20-year career, British soldier Barry Alexander served as both enlisted and officer, and on deployments to Bosnia, Northern Ireland, Sierra Leone, Iraq, and Afghanistan. In 2007, he deployed to Southern Afghanistan's Helmand Province. There, he enjoyed a privileged position from which to observe the modern battlefield, not by class or rank, but by function. Alexander's duties as a nursing officer variously located him at cutting edge of the fight; with the A.T.V. used to shuttle wounded back to the company medical tent; and with the battalion-level trauma center. The unit's leadership also circulated medical personnel to different locations within its area of operations, so Alexander takes the reader to more than just a single combat outpost. The bombs hit their target, the orange flicker of the explosion engulfing the hilltop, followed a split-second later by the sound of a thousand roof slates crashing onto a marble floor as a column of thick black smoke and dust climbs into the sky. There is a silence for about thirty seconds before the sound of a lone AK is heard firing in impotent anger in our general direction. We figure that if the guy can survive that amount of ordnance being dropped on his head, he probably deserves to live. Veterans of other armies will enjoy learning British military lingo. What today's U.S. soldier calls a "Dee-FAC" (short for "dining facility"—and what older soldiers would call a "chow hall") is to Alexander and his mates a "cookhouse." When casualty notifications are being made back home, rather than finding themselves in a "communications blackout," the British troops go into a posture of "minimisation." Rather than "redeploying" to their hometowns, returning U.K. soldiers go through period of social decompression called "normalisation." It is fun to compare and contrast the jargon. "The enduring folklore of foreign armies operating in Afghanistan tells us that we can borrow an Afghan, but we will never be able to buy him." "There is nothing worse for morale and professional reputation than seeing medical personnel fall ill."
Having spent nearly 246 pages and a vicarious 6 months in Afghanistan with the author, however, my greatest delight was to discover that his post-war reflections transcended into poetry. And not just the poetry of the ages, but his own. I should have been tipped off, of course, by book's title, which is rooted in Anglo-Afghan history and the poetry of Rudyard Kipling. The memoir title alludes to Kipling's 1895 poem, "Young British Soldier." During one battle, Alexander writes: "I am surprised to hear a lance corporal quoting Shakespeare: 'Full of sound and fury, signifying nothing' […] I reply that Kipling would be more appropriate, reciting 'When you're wounded and left on Afghanistan's plains' […]"
Later, I realized that I'd first encountered Alexander's words in "Heroes: 100 Poems from the New Generation of War Poets," a 2011 anthology I frequently recommend to writers and readers of modern war poetry. In the last chapters of his memoir, Alexander tells of how and why he started to write poetry, and places a few of his published works into further context. "Writing the poem ['Care Under Fire'] proves cathartic," Alexander writes in his memoir, "and I feel that it has helped exorcise some of the demons that stayed behind to fight a rear-guard action following my time with the psych." Minimise in force—can’t phone home; even if I could, what would I say? In summary: "On Afghanistan's Plains" delivers much-needed new perspective, context, and salve for the modern soldier's soul. I highly recommend. 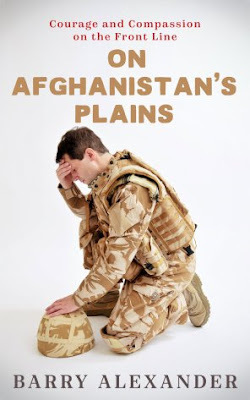 "On Afghanistan's Plains" is available in print and e-reader formats, including paperback and Amazon Kindle. Editors at the literary journal "As You Were," published by the 501(c)3 non-profit organization Military Experience & the Arts, have opened the window for submitting poetry until Sept. 1, 2016. Submissions will be considered for the journal's upcoming fifth issue, to be published FREE on-line in November 2016. Windows for fiction, non-fiction, and visual arts submissions may also soon be reopened, as editors continue to work through a backlog of accepted work. Our title ["As You Were"] also connotes a hearkening back, an exploration of the self and the past. We’re interested in those words and works of art that are brave enough to cut through rank and time, presenting military experience honestly, free of the white-washing that can appear in today’s war literature and art. We’ve published numerous volumes since 2011, providing each contributor–regardless of whether that contributor has published 25 words or 25 books–with some form of one-on-one consultation if they wanted it. As previously reviewed on the Red Bull Rising blog, the journal "As You Were" uniquely packages its submissions process as something akin to a virtual writing workshop. Unlike the thumbs-up-or-down approach of other journals, writers of all experience levels may engage in multiple drafts with peer editors and readers, while preparing pieces for publication. 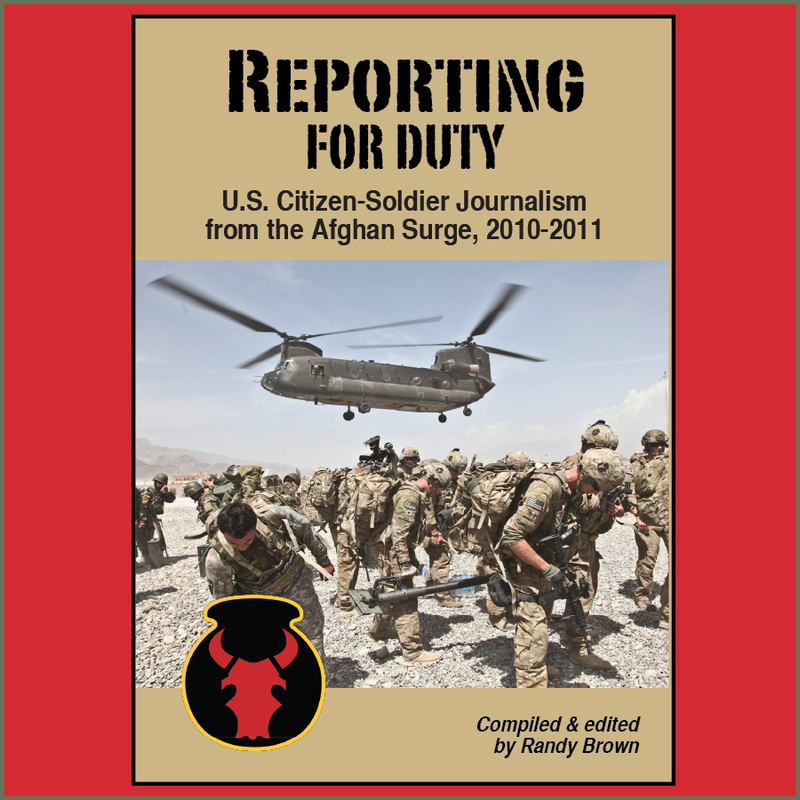 Regardless of whether a piece is accepted after one edit or many, however, the objective, however, is always the same: Help writers find new ways to document and communicate the military experience. 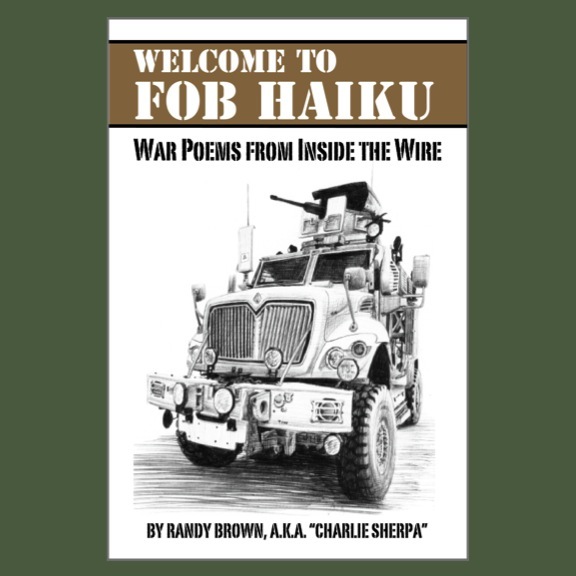 Military service members, veterans, and family members can submit from one to three poems here. Poems must be previously unpublished, either in print or on-line, although they may be simultaneously submitted to other journals. Disclosure: The writer of the Red Bull Rising blog is also the poetry editor of "As You Were" literary journal.